How to set the backcolor for group header cell based on the content in a GridGroupingControl? You can change the backColor for each group header cell, based on the content in the GridGroupingControl by using QueryCellStyleInfo event. In this event, you can check the celltype as GroupCaptioncell and also apply the color for SummaryCell based on the content. 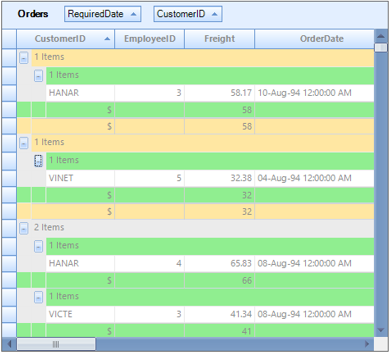 The following screenshot displays the Backcolor for GroupHeaderCell and SummaryCell.